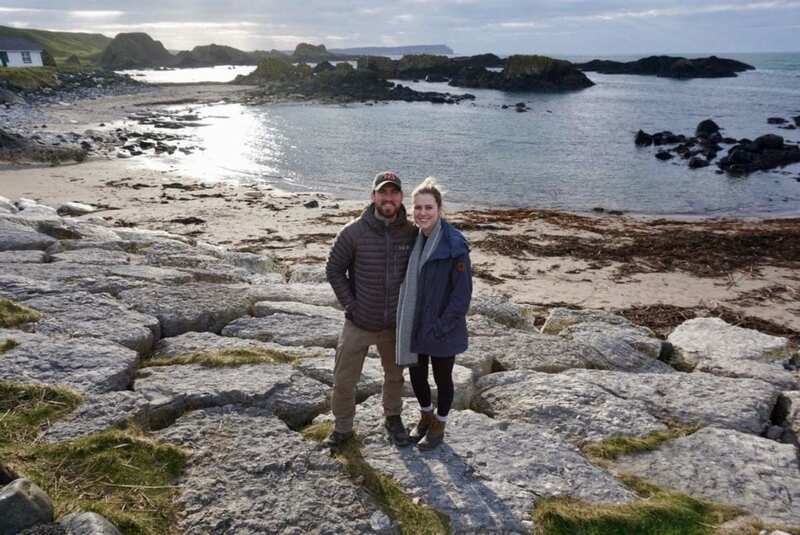 Our Europe travel specialist Graci and our manager Kyle just returned from an amazing tour of Ireland with Lynchpin Tours. Along with their spouses, they toured Dublin, Kilkenny and Cashel, Kinsale, Cork, Kerry, Killarney, and Galway. Check out their itinerary, including everything they saw and where they stayed, below. The first four days of the trip included an itinerary with Lynchpin Tours. Graci, Kyle and their spouses left Omaha on Wednesday, March 20th at 12:15 PM on United Airlines. They arrived in Dublin on Thursday, March 21st at 7 AM. Keep in mind that Dublin is 6 hours ahead of Omaha. On their first day, their driver and tour guide, David, collected them at the Dublin Airport in a 7-seat Galaxy SUV. From there they drove to Kilkenny and Cashel and then spent the night at a great farm bed and breakfast called Glasha Farmhouse, pictured above. It is run by a woman named Olive and located in the countryside about 25 minutes from Waterford. At Glasha, homemade breakfast was included. In addition, you can sample the apple porridge, which is Olive’s specialty. On the second day, the crew visited Waterford Cystal which is a brand new visitor’s center. 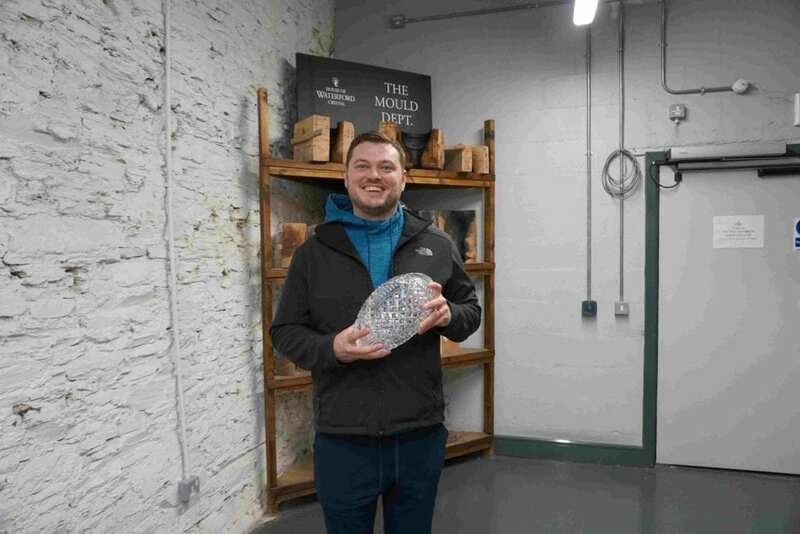 Here they learned that Waterford makes many of the crystal trophies for major sporting events. A couple of specific ones they named were the AT&T Pebble Beach Pro Am trophy, Phoenix Open, and AFCA National Championship trophy. 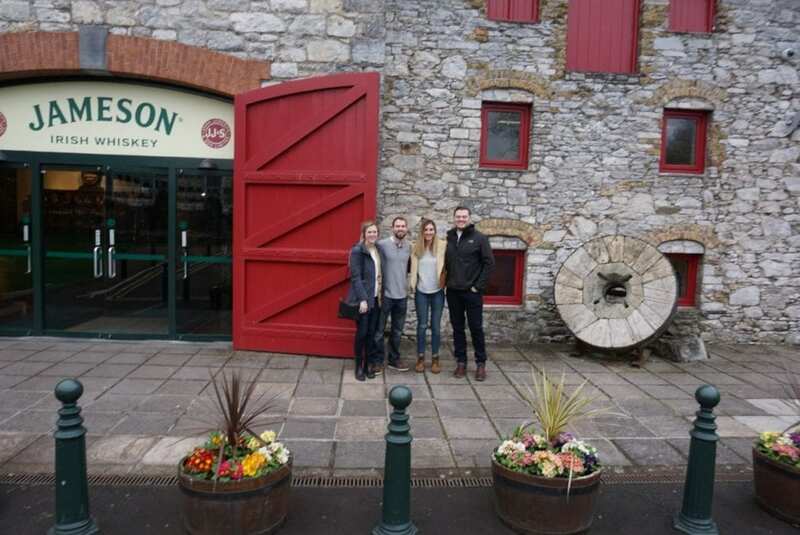 After that, they headed to Midleton Distillery, pictured above, which included a walk-through tour and side by side tasting. 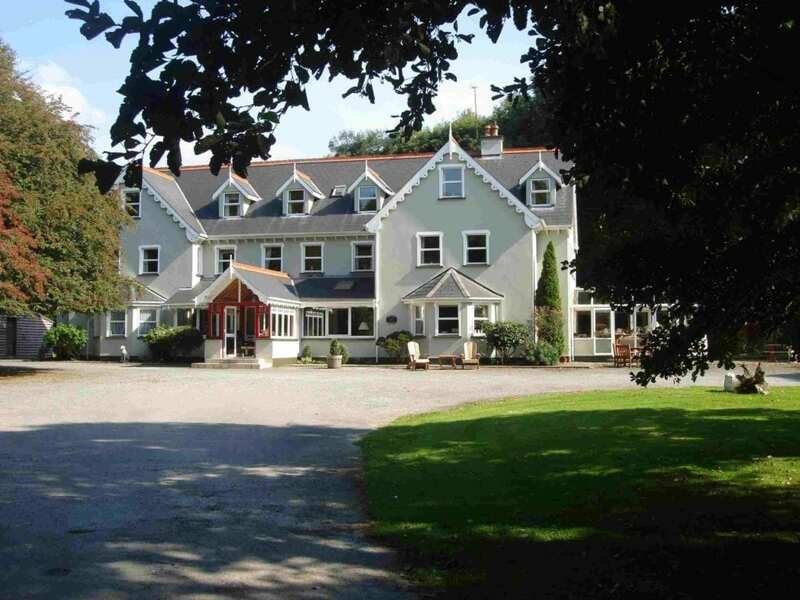 On the second night, they stayed at Trident Hotel in Kinsale. This is about a 35-minute drive from Cork and the hotel had gorgeous views of the harbor. In addition, there was a great restaurant on-site. 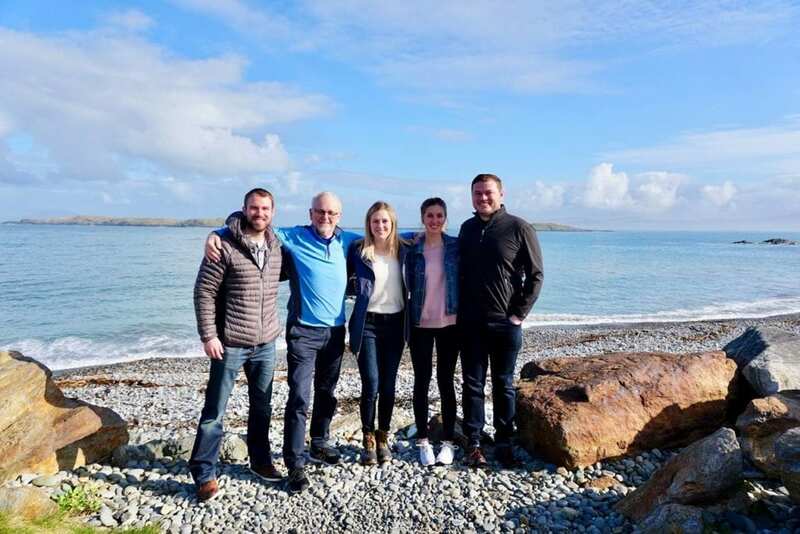 On the group’s third day in Ireland, they drove through scenic Cork and Kerry to reach Ireland’s tourism capital: Killarney. In Cork, they visited Cobh which was the last port of the titanic. Here they have a visitors center with tons of information on this. 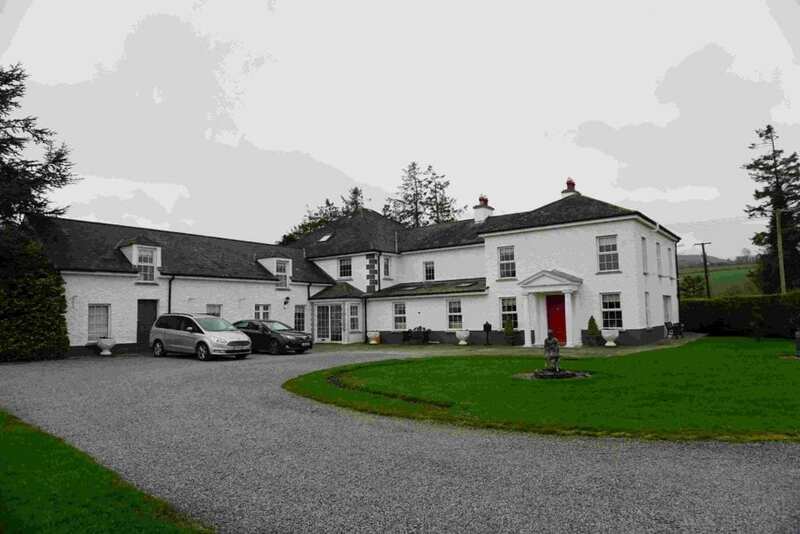 In Killarney they stayed at a terrific guest house, Gleann Fia Country House, pictured above. The guest house is located about 5-10 minutes from Killarney town and included a full made-to-order breakfast featuring honey from hives right in their backyard. On day four the group crossed the Shannon and road through The Atlantic Way. 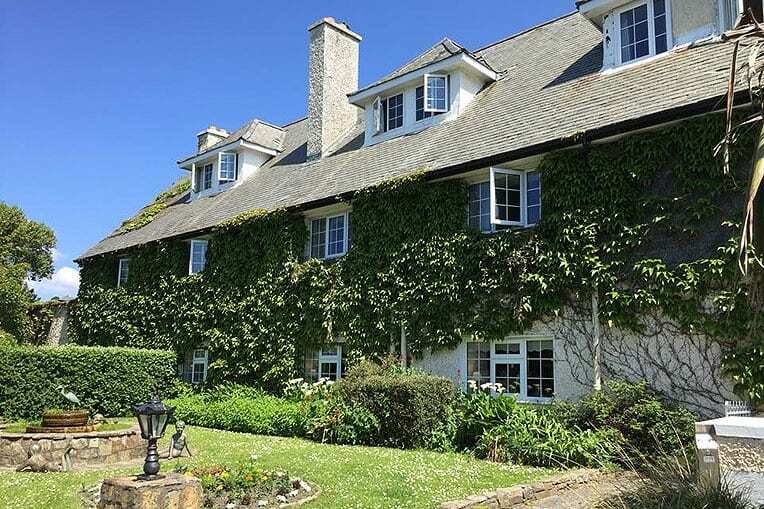 Then, they headed onward to Galway, where they spent the night at a lovely country house hotel on the shores of the Atlantic called Renvyle House Hotel & Resort, pictured above. Renvyle House is a cozy lodge-style hotel with a bar and restaurant on-site. On the fifth day the group returned to Dublin. This was the end of the itinerary with Lynchpin Tours. Graci and her husband stayed in Dublin for the remainder of their stay in Ireland, while Kyle and his wife spent time in Dublin and Belfast. First, the group stopped at the Guinness Storehouse. 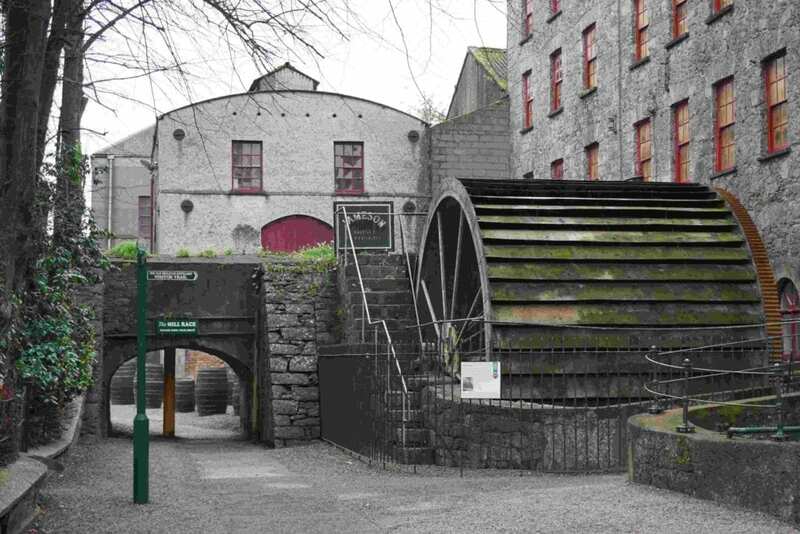 This is known as Dublin’s #1 tourist attraction, and here you can learn all about the history of Guinness. In addition, you’ll get to see everything that goes into making that perfect pint of Guinness. And of course the tour would not be complete without sampling a Guinness for yourself! After this, the group parted ways and Graci and her husband headed to Trinity College Dublin. 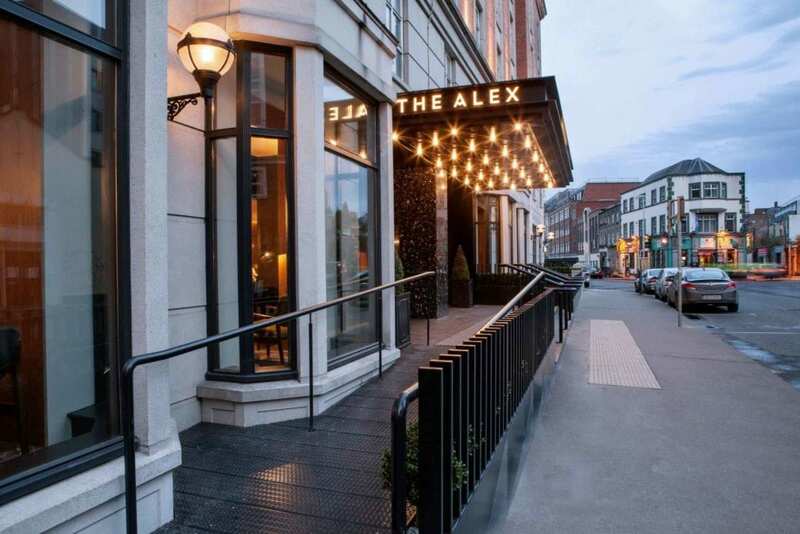 For the remainder of their trip, they stayed at The Alex Hotel, pictured above, which is near Trinity College. The historic campus of Trinity College is set in the heart of Dublin’s city center. In addition, Graci and her husband toured the Book of Kells. 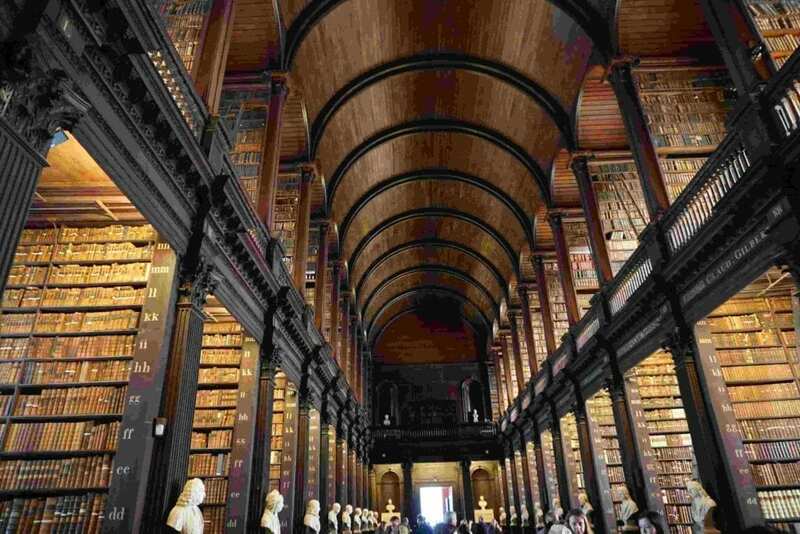 The Book of Kells is an exhibition in the Long Room, or library, of Trinity College (pictured above). The exhibition displays the Book of Kells, which is a 9th century manuscript that documents the four Gospels of the New Testament. It is known as Ireland’s greatest cultural treasure. In addition, the Long Room itself is one of the world’s most beautiful libraries and houses over 200,000 of Trinity College’s oldest books. In addition to Trinity College, Graci and her husband visited St. Patrick’s Cathedral, pictured above. 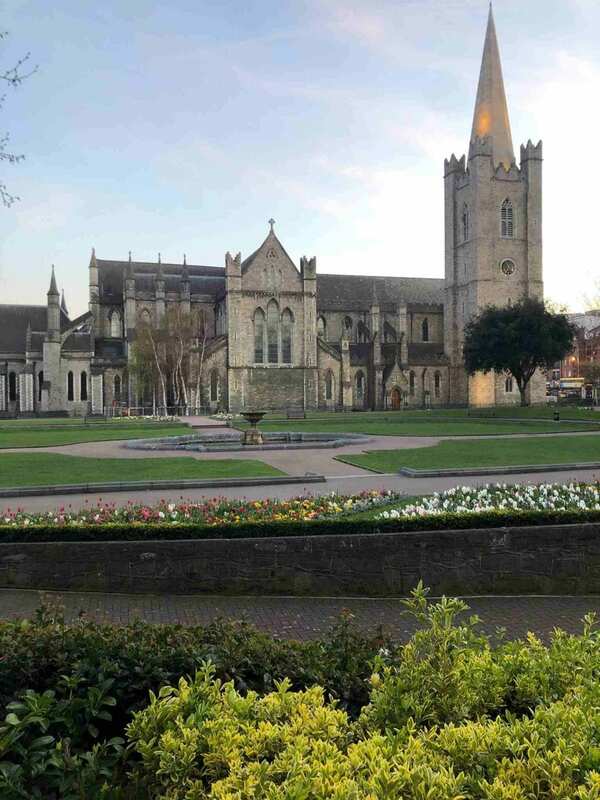 This magnificent cathedral houses Jonathan Swift’s remains (he wrote Gulliver’s Travels) and it is the only remaining cathedral in Ireland with daily sung services. After St. Pat’s, they headed to the Oscar Wilde Memorial in Merrion Square. The memorial is a collection of three statues which commemorate the Irish poet and playwright. 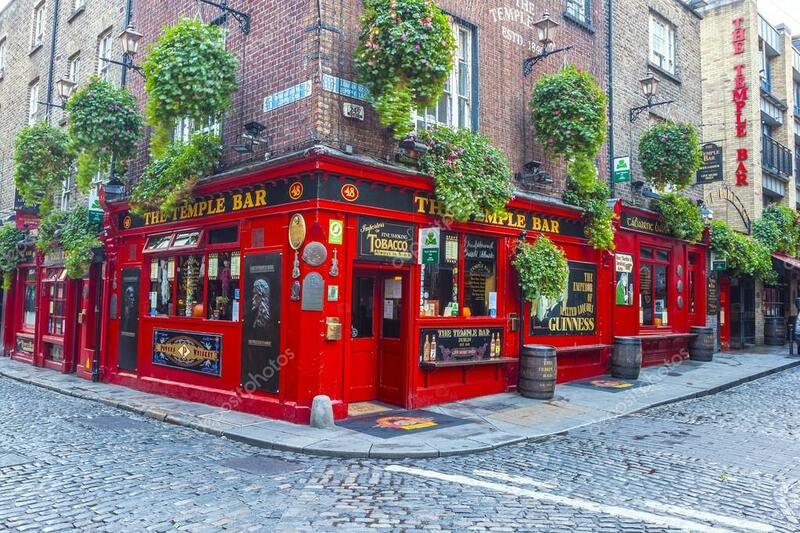 They also visited Temple Street, or Temple Bar as it is sometimes referred. Temple Street is a bustling area with pubs, galleries, restaurants and music, all squeezed info a few cobble-stoned blocks. In addition, it is known as the cultural heart of Dublin. 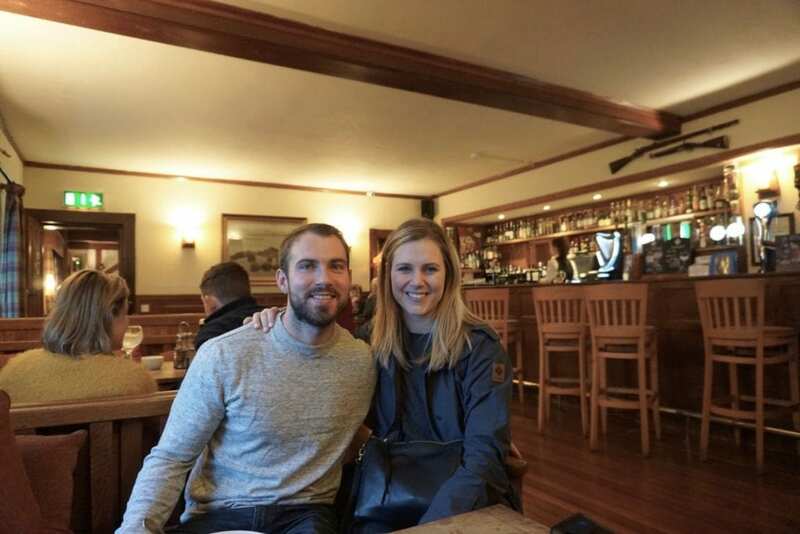 After Kyle and his wife parted ways with Graci, they had dinner at Sophie’s in Dublin. Sophie’s is a modern glasshouse restaurant featuring 360 degree views of Dublin. You can see everything in the city and far out into the countryside. Their menu is described as New York – Italian – Irish. Additionally, they visited Ireland’s oldest pub, The Brazen Head, pictured above. The Brazen Head dates back to 1198. After that they checked into the Ashling Hotel, which is our owner Lori’s favorite hotel in Ireland. The next day, they took the rail in order to get to Belfast. Here they met their tour guides for a city tour by car. While they were in Belfast, they stayed 2 nights at the Ramada Encor. For breakfast the next day, they went to Alan’s Causeway Cafe. Here they serve your quintessential traditional Northern Irish Breakfast. Then they met their tour guides for a tour of Northern Ireland. This tour included famous Game of Thrones locations, Giant’s Causeway and Carrick-a-Rede Rope Bridge. In addition, they saw the waterfalls of Glengariff Nature Reserve, and Antrim Coast. 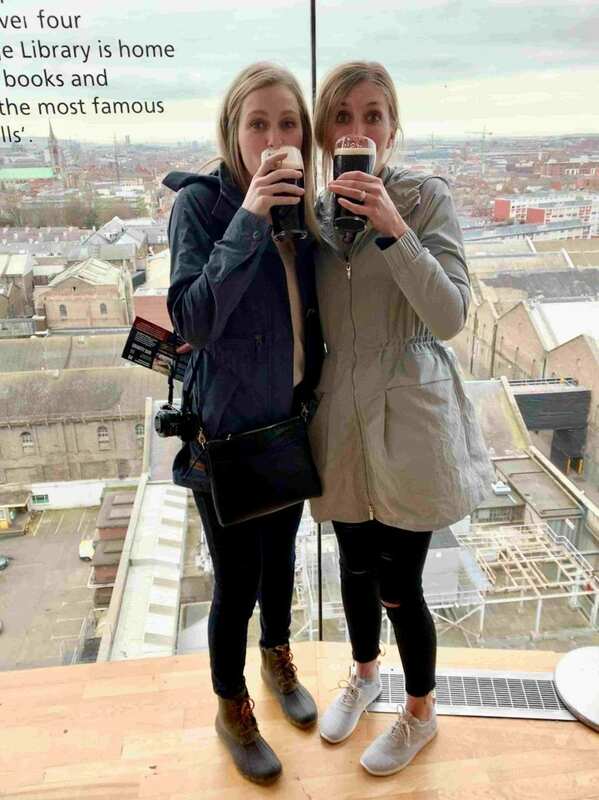 After their long day tour they headed back to Belfast’s city center for dinner at Holohan’s Irish Pantry and drinks afterward at Kelly’s Cellars. 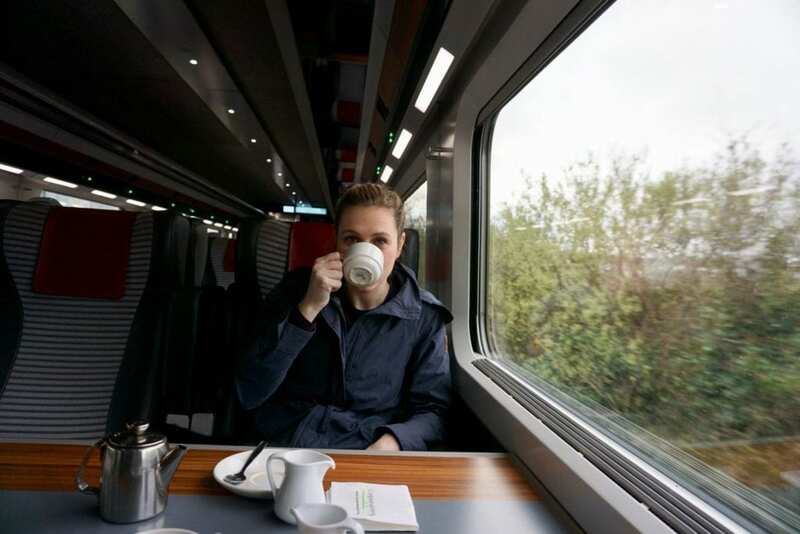 The next day they had breakfast and took an early afternoon train back to Dublin. For their last night they stayed at the Hilton Dublin Airport Hotel. Finally, it was time to go home. They took the 9 Am flight from Dublin. With the time change, they arrived to Omaha at 6:15 PM the same day. Call us today in order to speak to Graci or Kyle about their stay in Ireland and book your own tour with Lynchpin Tours! You can reach us at 402-390-9291 or get started here.